“Hole in the wall”- Cognitive Learning. Sugata Mitra is Professor of Educational Technology at the School of Education, Communication and Language Sciences at Newcastle University, England. He is best known for his “Hole in the Wall” experiment, and widely cited in works on literacy and education. He is the Chief Scientist, Emeritus; at the for-profit training company NIIT. Sugata Mitra stated the concept of the “Hole in the wall” theory and later “school in the cloud”. 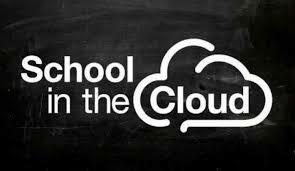 The School in the cloud is a platform launched in 2014 TED conference to help the educators – be it a teacher, parent, guide to accelerate their own SOLEs. A SOLE is a self-organized learning environment, which is facilitated with a computer, internet connection and the students who will meddle with it, and learn by their own. SOLE sessions are characterized by discovery, sharing and limited or minimal intervention of a teacher or a guide.